Guelph Infiniti knows your Infiniti vehicle better than anyplace else. That’s why our Infiniti-Certified Technicians have all your servicing needs covered – from brakes to batteries. 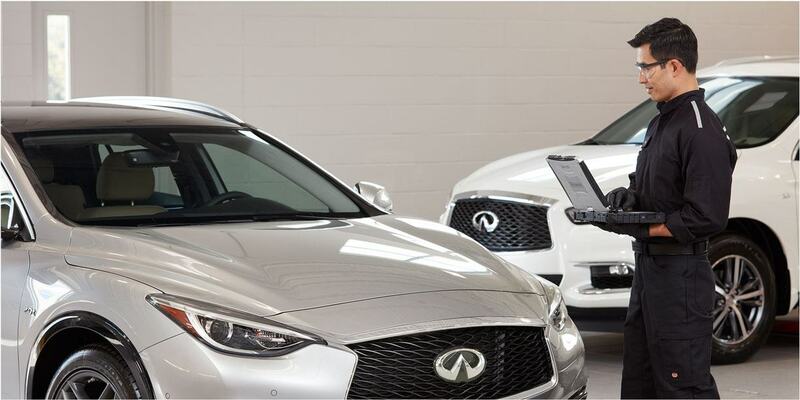 So the next time your Infiniti is due for servicing, please don’t hesitate to book an appointment with us. Scroll down below to read just a few of the many services we offer. Oil Changes: Here at Guelph Infiniti we only use synthetic oil and high-performance Infiniti brand oil filters, which help to maximize performance. Keeping your Infiniti oil change schedule is vital to maintaining vehicle performance, and that’s why we made it easier than ever to book appointments – through our online appointment booking system! Batteries: We have highly trained Infiniti-Certified Technicians that you can trust for all your battery needs. If you think you might need a new battery, we can also perform a diagnostic test, to see if your battery is safe for the road, or needs to be recharged/replaced. We’re always here to help. Winter Tires: Visit us and our Infiniti-Certified Technicians will ensure your new winter tires are perfectly fitted to your Infiniti vehicle! Due to their aggressive tread, winter tires provide greater stability on the road, optimizing safety by giving a better grip! Brakes: Our Infiniti-Certified Technicians are experts in brake inspections! We use genuine Infiniti parts for any replacements needed, and we have all the right pads, rotors, and more! The braking system is one of the most important safety systems of your Infiniti, and that’s why you should ensure your brakes are serviced regularly! Parts: We offer a wide range of genuine Infiniti parts for your vehicle, which are all custom-fitted, custom-designed, and durability-tested to Infiniti standards! We also offer an easy to use online Parts Quote Request System, which you can use at your convenience. 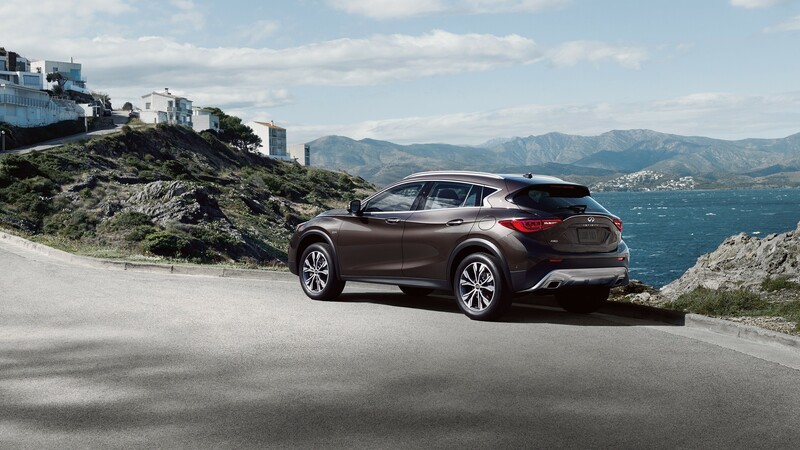 Whatever your needs, Guelph Infiniti has you covered. 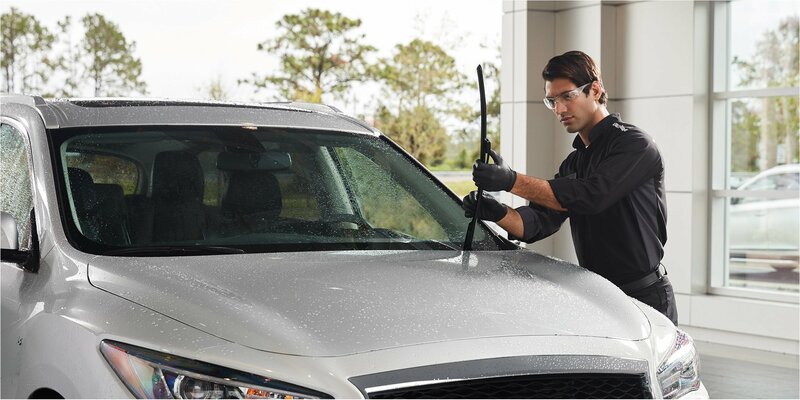 Servicing your Infiniti regularly helps maintain its market value and keeps your vehicle happy. We hope you found this Blog informative, should you need anything not mentioned here, simply give us a call or stop by, we’re always happy to assist!